Discussion Low QD Value for Well-Supported High-Coverage SNPs- other annotations to use? 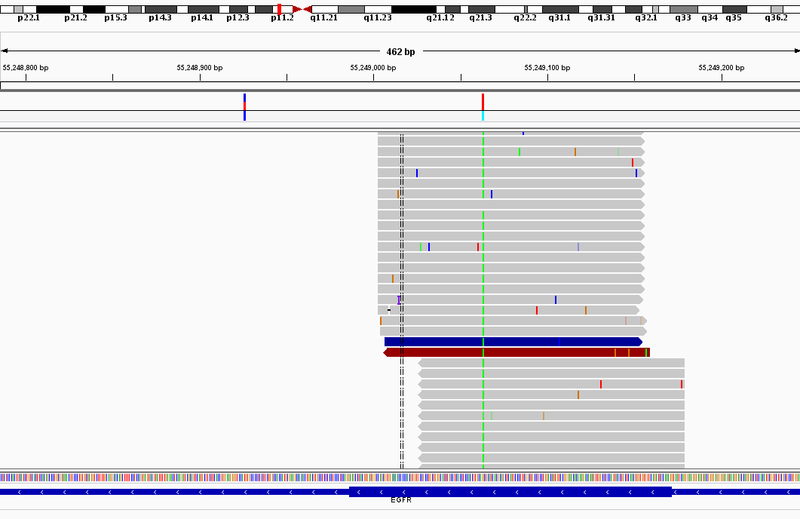 Low QD Value for Well-Supported High-Coverage SNPs- other annotations to use? This variant is shown in IGV in the attached file- it looks to be a true positive, but because of the high depth, QD is very low. Based on the QD documentation, it looks as QD simply cannot be used to filter high-coverage data, since the value is QUAL/unfiltered depth. Is there an alternative annotation that expresses the same measure, since QD is recommended in all the hard filtering documentation? Would GQ be a good substitute? Here's my guess: you are using another caller outside of the GATK to make these calls, then annotating the subsequent VCF with the GATK and trying to filter. Is that correct? If so, then you'll need to make sure that the other caller produces consistent QUAL estimates. The problem is that our best practices recommendations assume that you have done your processing throughout with the GATK. The QUAL value in your record looks extremely low relative to a normal GATK call through e.g. the Unified Genotyper - so you'll need to do some analysis to determine the appropriate QD cutoff for your particular data set; that's not something we can help you with. But definitely do not use GQ! Correct- these calls are produced with samtools mpileup. I will try to determine a better cutoff for this data. Thanks for your help!